← Character Design Challenge #303 – The International Legion for Justice: Phase 3. Creators Club Poster 2017 Volunteers? 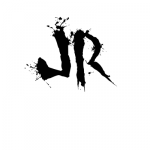 Hey guys, JR here. As with last year, I'm now looking for someone to do this years Creators Club Poster. For those of you who aren’t in the know, the Creators Club poster is a community project where one of the members of the community (previously myself, MadJack, Atomic Punk and Hammerknight) have come up with a theme for everyone to follow ( previously we've had stuff like Superheroes, Men In Black, Chibi’s and Westerns, with last years theme being Magic), and then people create a self-portrait of themselves fitting to that theme. All of the self-portraits are then sent to the organiser, who then puts them all together in one big poster that showcases the community that year. It’s not a challenge, it’s just a bit of fun, you don’t have to be a Power User to participate, you just have to use the site and follow the submission rules for the poster. Now, obviously, we're trying to get new people to do these each year, so if you would like to volunteer and you have an idea for a theme, email it to me at the usual address (it's in my About section at the bottom of the post). I'm only accepting theme ideas from people who email, not from the comments, so if you have an idea make sure you email it. I'm accepting theme ideas from today until the Jan 17th, so that's 2 weeks, and submissions for the poster should open on Feb 1st provided myself and the organiser have everything arranged. 4 Responses to Creators Club Poster 2017 Volunteers? DEWD I liked those ideas, particularly the toga one. and LOVE the video, had to share it on facebook and tagged some of my dance loving relatives. Trouble is, you’re SUPPOSED to e-mail the suggestion to him, and NOT post it in the comments… 😀 And,yes, the video is cool, but this is HeroMachine, not YouTube…. How much of this is going to come through in a still-frame? Basically, my Idea should look like a family portrait that has been digitally created using photos taken through the last 100 years!